Contrary to popular belief, tents are not only used for camping, hiking and trekking trips. They are also used as an advertising medium for increasing brand awareness. The market is flooded with various types of tents designed to cater to different uses. Most of them are lightweight and robust. They can be used with simplicity and require low maintenance. There is a classification called traditional tents and modern tents. Tee-pee tent is an example of a traditional tent. A yurt is round-shaped and consists of wooden poles and is covered with canvas. There is a hole in the middle of a yurt to make sure light can pass through and the interior is not dark. The top portion of this type of tent is crown-shaped. Yurts are available for both long-term and temporary use. Wickiups have a sturdy structure with wooden poles. Like yurts, they are also available for prolonged and short-term use. They are multi-purpose. You can use them effectively for camping, fishing as well as hunting. In addition to these, they can also be used in outdoor events, concerts, reception parties, corporate events, trade fairs and any ceremonious event. They are available in various shapes and sizes to suit every type of event. The aesthetic and functional qualities of a tepee tent make them popular. This type of gazebos has been designed in a way that a user finds it easy to put up and fold. They are shaped like that of a star and feature a width of 40 feet. Their height is somewhat around 20 feet. This means there is ample space for arrangements. A spacious area for exhibition allows materializing strong branding strategies. 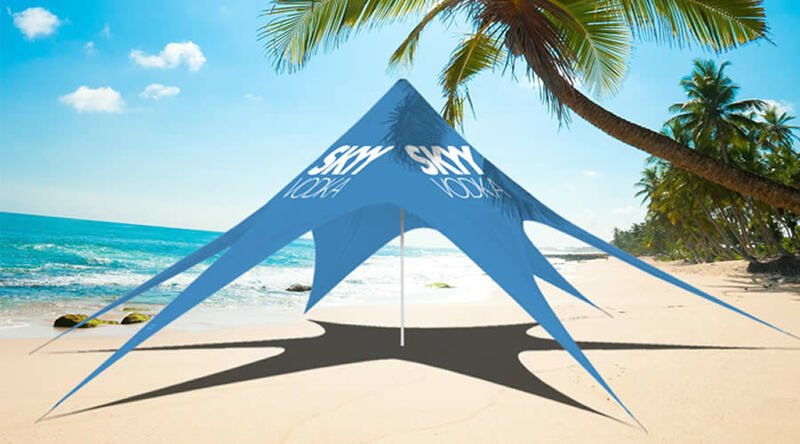 If you want to increase your brand’s identity in a stylish and sophisticated way, you must choose this type of gazebo. Cabin, A-frame, geodesic and dome-shaped tents are modern tents. These tents are large-sized and quite heavy. As it is large, it offers a lot of interior space. A number of poles are attached together to form a cabin tent. If you want, you can form more than one room inside it by using dividers. These gazebos are a good choice for camping gear if you are going to a place with stable weather conditions. Wires support the poles and there is no floor covering. These make them unfavorable during windy days. This type of porch is the most popular. Apart from being very easy to assemble and dismantle, a dome-shaped tent does not need to be dismantled when it is required to move from one place to another. Unlike A-frame, this type of gazebo provides impressive service during inclement weather conditions. In the last few years, geodesic tents have gained much popularity. Campers tend to prefer them over other options. They are more or less designed like the dome-shaped one and offers better protection against wind and chill. The aforementioned options cater to various requirements. Whether you opt for cabin or tepee tent, make sure it pertains to your convenience.